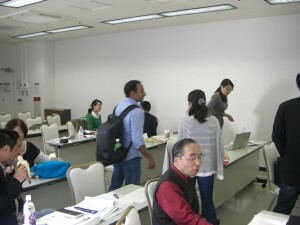 The 548 YTMC meeting was held at Gino Bunka Kaikan. The next officers were elected today and their term will start from July. We hope these officers will draw new pages in the YTMC history. but it is difficult to keep it every time. you have to pick up most important topics for your members. 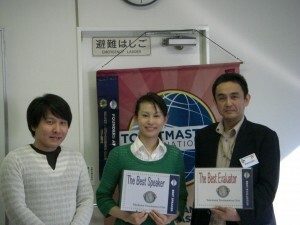 Next meeting will NOT be held regularly on May 18, because of the D76 Speech Contest in Nagoya. We will meet the 25th Anniversary Meeting at Hatoba Kaikan and Party at Jukei Hanten Bekkan, respectively, on June 1st. Let’s enjoy memorial meeting and party!